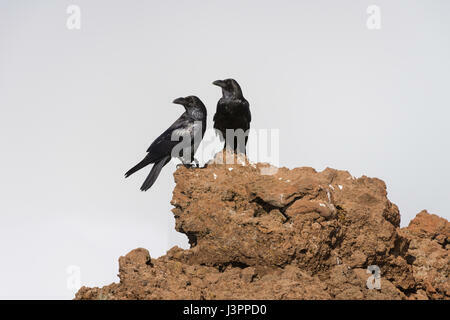 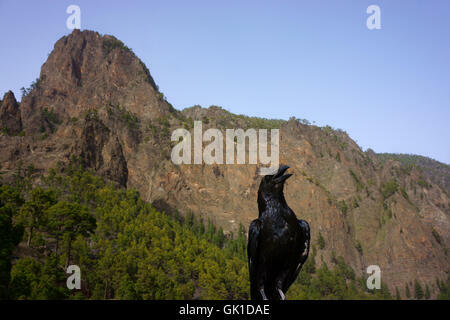 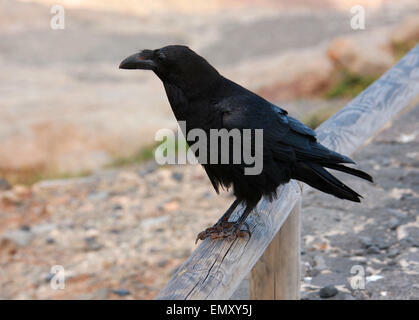 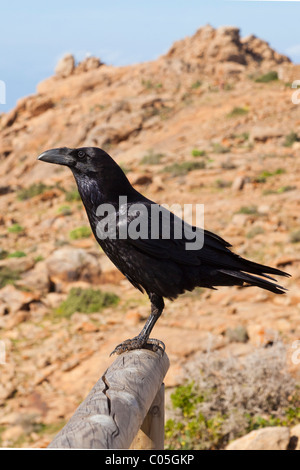 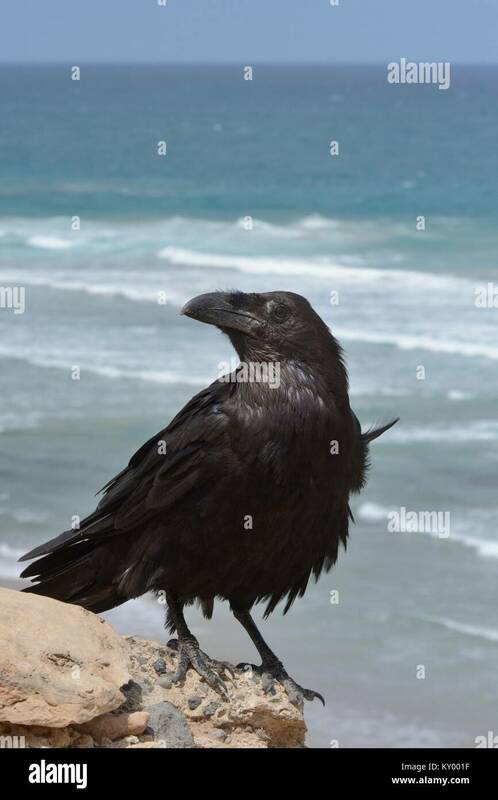 Canary Island Raven (Corvus corax tingitanus) adult perched on sea cliff edge, Fuerteventura, Canary Islands, May. 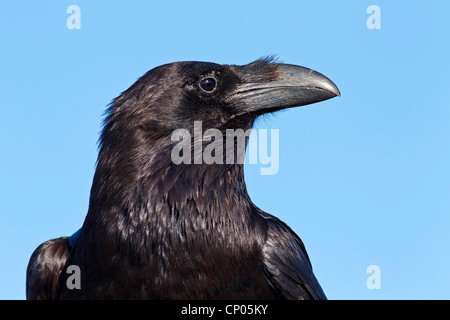 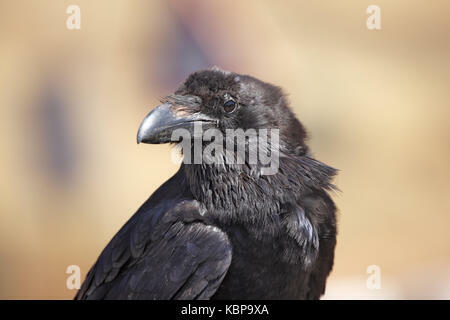 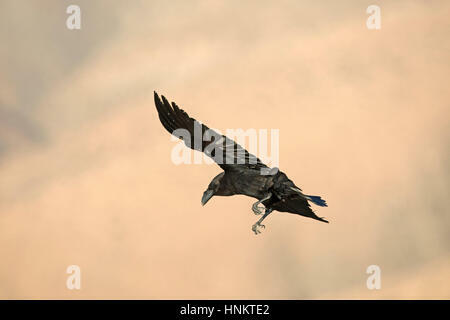 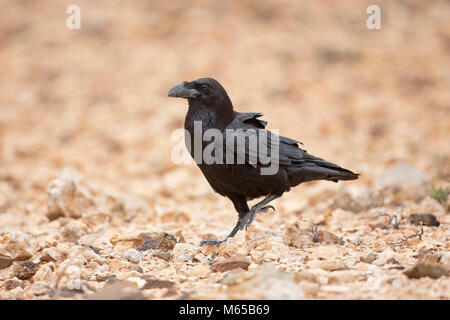 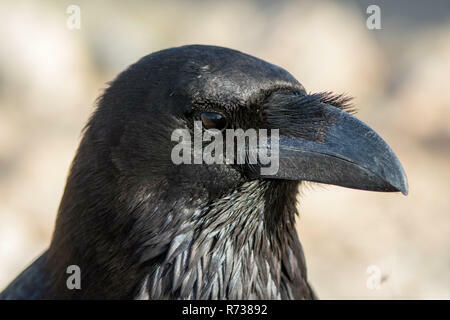 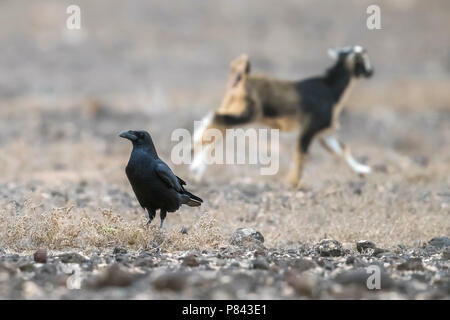 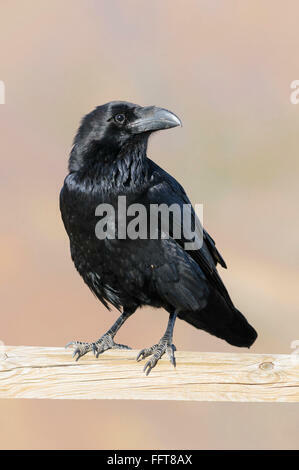 This is the smallest subspecies of Raven, restricted to Morocco and the Canary Islands. 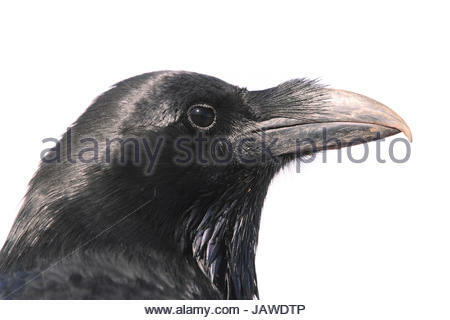 Porträt von einem Rabe, Corvus Corax.